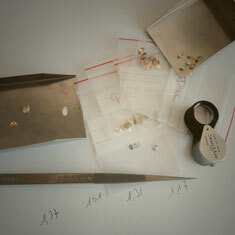 Auctions are helpful indicators of the demand in the market and reviewing the top auctions of the year is not merely interesting, but a helpful way to figure out the flow of the market, and understand better which diamonds to invest in. Investing in colorless diamonds complying to the highest standards of the 4Cs is the most conservative form of investment in diamonds. But when it comes to natural color diamonds the possibilities are limitless due to their rarity and exceptional beauty, and the demand for top quality fancy color diamonds is growing exponentially. Both the color and the color strength play important roles in determining the value, and some colors have a wider range of saturation than others. 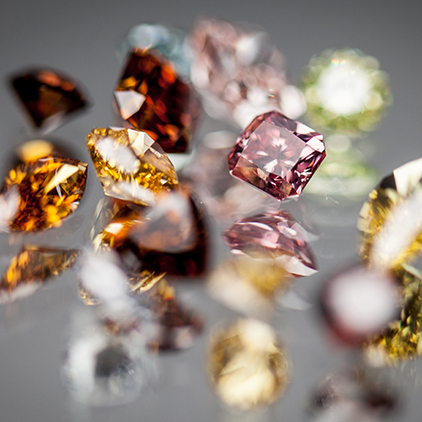 In general, investors tend to look for red, pink, blue, and yellow diamonds, and collectors are fond of orange, green, chameleon, violet, and purple diamonds. The gems that dominated the jewellery auctions in 2018 were mainly blue and pink diamonds, as they’re amongst the rarest and most valuable colors. 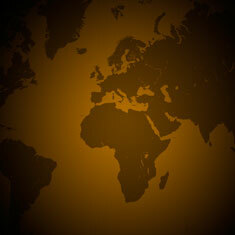 But as of late, more investors are seeking for green diamonds and as a result bringing the price up. The price of pink diamonds has been on the rise since the '90s. In 1993, at Geneva auction, Fancy Vivid Purplish pink diamond known as the Graff Pink Supreme, a 10.83 carat beauty in pear cut, fetched $591.000 per carat, a stunning amount of $6.4 million in total. 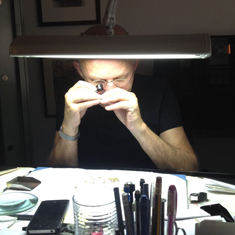 Since then the price has been climbing up each year for fancy, light, intense, or vivid pink diamonds - oftentimes earning the title of a record breaker in the diamond market. A 21.19 carat Fancy Light Pink diamond in 21.19 carat valued between $4.5 million and $6.5 million ended up selling for $7.3 million ($346.000 per carat) at Sotheby’s fall auction, an exceptional price for such intensity. One in the category 1-3 carat at Sotheby’s fall auction for a 1.05 carat Fancy Pink, round brilliant, VS1 diamond, with a total price of $279 503 ($266 000 per carat). Another at Bonhams’ auction in September when a buyer offered $2.9 million ($583 551 per carat) for an 5.03 carat, unmodified square-cut, VS1, Fancy Pink diamond. 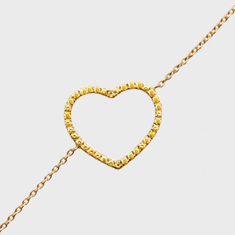 In December, at Christie’s New York, a necklace set with a 15.56 carat, heart-shaped, Fancy Intense Pink diamond was sold for $9 537 500 ($612 949 per carat). In May, at Christie's Geneva, a ring set with a 8.52 carat, rectangular-cut, Fancy Intense Purplish pink diamond was sold for $6 275 000 ($736 503 per carat). A new world record for price per carat was set in November, breaking the previous record set by The Pink Promise in 2017 - a 14.93 carat, oval-shaped, Fancy Vivid Pink diamond - which fetched $2.17 million per carat at Christie’s Hong Kong. In November, The Winston Pink Legacy, an exceptional diamond with no secondary component colors– no gray, orange, or purple hue, which is typical in natural color diamonds of that size - was sold for a truly jaw dropping price. 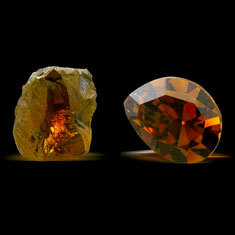 This 18.96 carat, VS1, Fancy Vivid Pink diamond was sold for more than $50.4 million ($2.6million per carat). A ring set with a 20.49 carat, rectangular-cut, Fancy Vivid Yellow diamond was sold for $5.5 million ($267 000 per carat) at Christie’s Geneva in May. 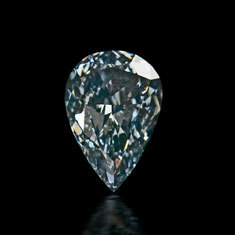 A Fancy Intense Blue diamond was sold for $5.3 million in April. The 3.09 carat, rectangular cut, fetched $1.7 million per carat at Christie's, setting a world record price per carat for a Fancy Intense Blue diamond. Twenty-four hours later, a cut-cornered rectangular, step-cut, Fancy Intense Blue diamond weighing 3.47 carat broke the short-lived record by selling for $6.6 million ($1.9 million per carat), at Sotheby’s Magnificent Jewels Auction, nearly tripling its pre-sale estimate. 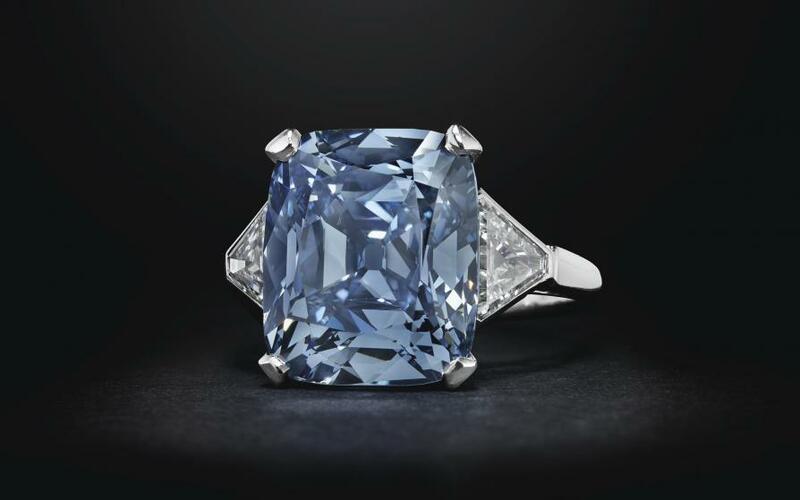 A 5.00 carat, step cut, VS2, Fancy Vivid Blue diamond managed to fetch $13 833 499 ($2.7million per carat) in Hong Kong at Sotheby’s October auction. The ‘Ai’ - Chinese word for love - diamond performed extremely well despite the stone’s high saturation making it look more like Fancy ‘Deep’ even if the certificate classified the stone as Fancy Vivid. A 8.01 carat, Fancy Vivid Blue, internally flawless diamond, mounted with a 1.60 carat Fancy Intense Pink diamond by Moussaieff, drew a top bid of over $20.4 million at Christie’s on May 29, Hong Kong auction. 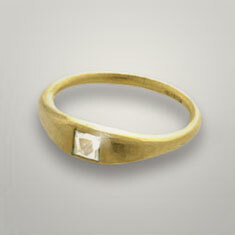 That’s more than $2.1 million per carat. 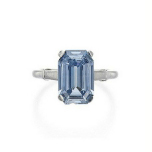 Presented in the auction at Christie’s in New York on December 5, a Fancy Vivid Blue, 8.08 carat, VS2, cushion modified, brilliant-cut diamond on a platinum ring with triangular- cut diamonds designed by Bulgari, fetched $18.3 million ($2.2 million per carat). And the historical highlight of the year happened in May when the Farnese Blue was sold at Sotheby’s Geneva to an anonymous buyer for $6.7 million. Originally earthed from the Golconda mines in southern India and given as a wedding present to the second wife of King Philip V of Spain, this 6.16 carat, Fancy Dark Grey-Blue diamond fetched $.1.1 million per carat. 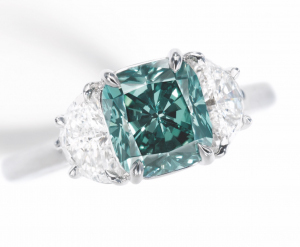 A 2.00 carat, Fancy Deep Bluish Green diamond, which was valued at between $1.6 million to $1.8 million, sold for $1 863 356 ($931 700 per carat), prompting a world record for such a deep hue. 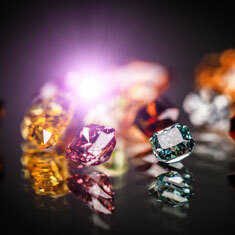 This record sale is a good example of investors and collectors looking beyond the value of the certificate and seeking for unique items instead, and natural color diamonds are valued for their rarity and praised more and more for their exceptional hues and beauty. 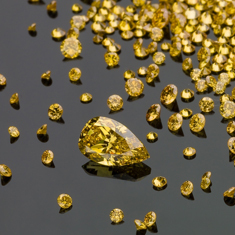 Unlike other investment alternatives such as stocks, bonds, and gold, rarity of natural color diamonds provides a great safeguard for value. Their limited supply, great demand, and unique nature have shown to create substantial appreciation throughout the years. And year 2018 was no exception to that rule. Pictures Credit: Bonhams, Christie's, Sotheby's.